If you have ever had the “pleasure” of hiring, there is nothing worse than seeing the same crap day in and day out on virtually every resume. 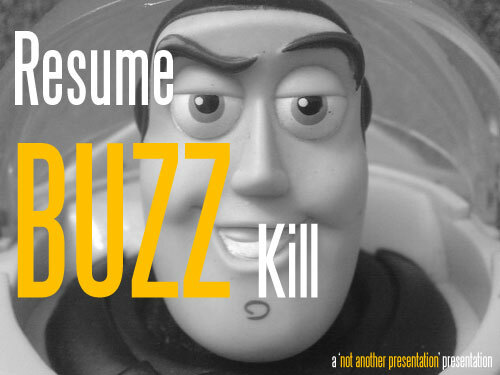 Llama Llama Inc. has created a deck that points out the “buzz words” you should forgo on your resume, which will help you avoid your career’s impending demise. That was very nice of them. Designed by: Llama Llama Inc. This is a great deck…finally some updated material. I hope these guys present more of productions! Excellent! !